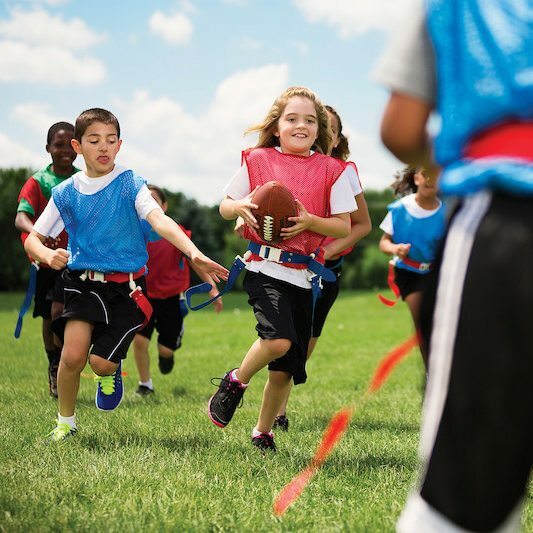 Our Flag Football program teaches the football fundamentals without heavy contact. Youth flag football focuses on teamwork in a positive and structured environment. Children will learn different aspects of the game that will keep them active and help develop skills such as hand-eye coordination and agility. Players also have an opportunity to develop leadership skills while building confidence, and self-esteem. SEASON RUNS August 17th – October 10th. Flag Football 101 is for 4-5 year olds. Youth Flag Football is for 1st – 5th graders.